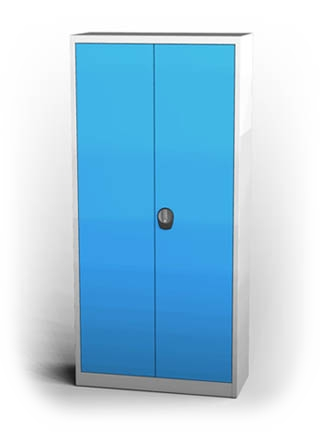 Our offer of cupboards and cabinets covers wide range of applications in offices, institutions, warehouses and industrial facilities. 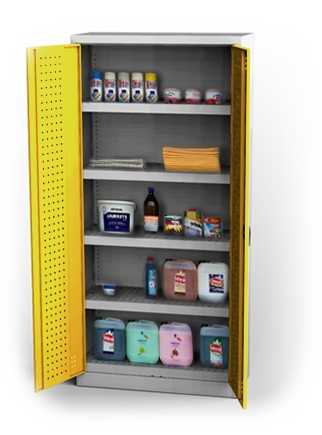 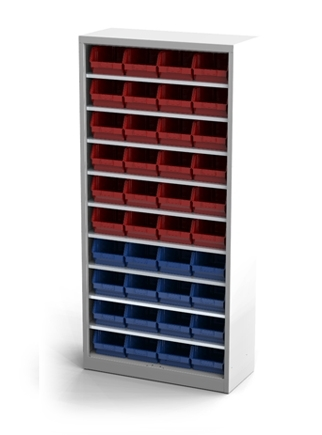 The storage cabinets are featured by resistant welded construction and careful processing. 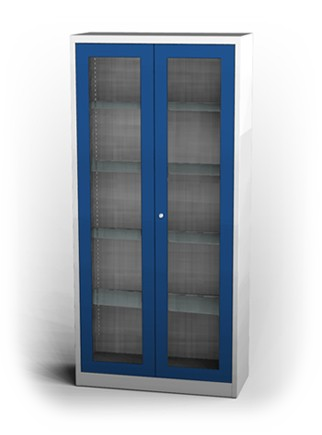 They are produced with revolving doors - metal or glass-filled version. 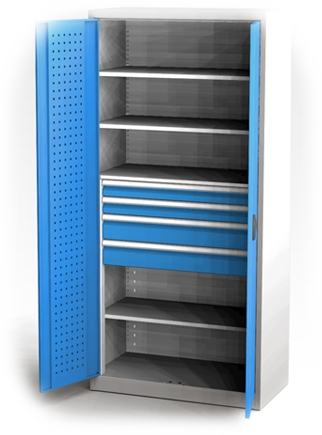 The steel cabinets are locked by cylinder locks with a turning handle and two point locking system.